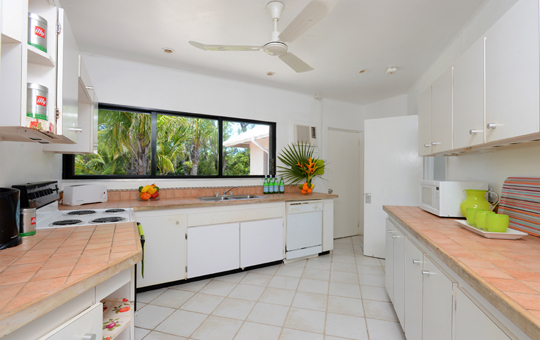 See the floorplan and get a feel for the house and its surroundings by clicking on the big images for a virtual tour. 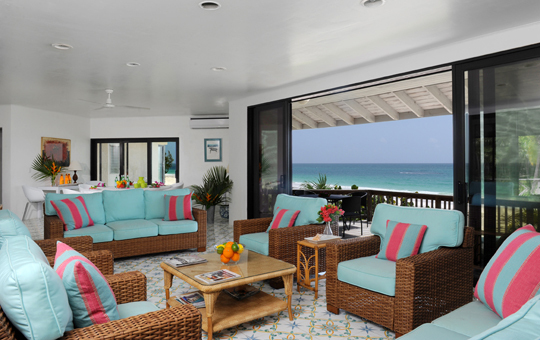 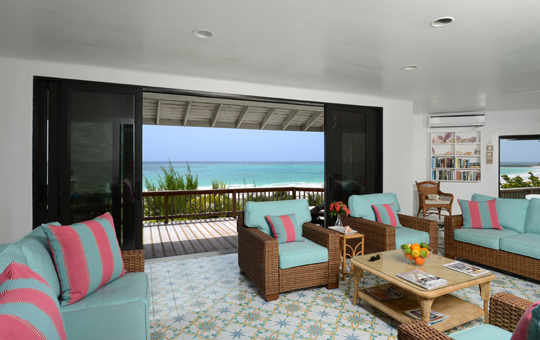 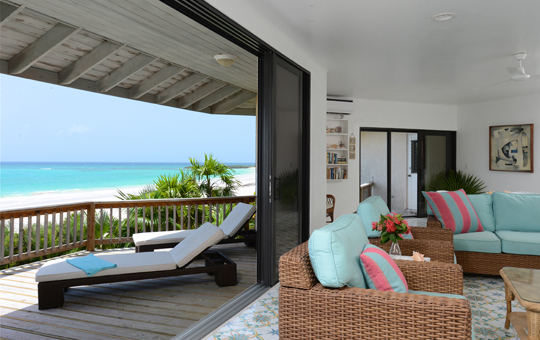 Provender was built on a deserted stretch of beach as a comfortable, informal home from home for a British family. 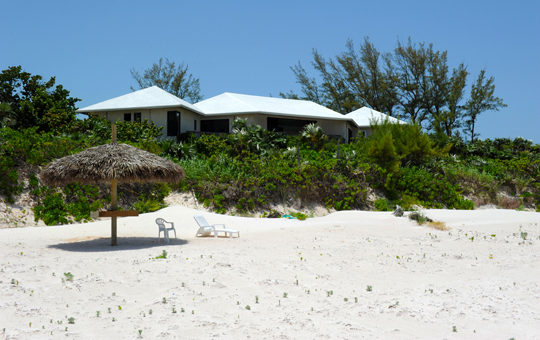 Many celebrated people have stayed there - including Prince Charles and Princess Diana on their honeymoon in 1981. 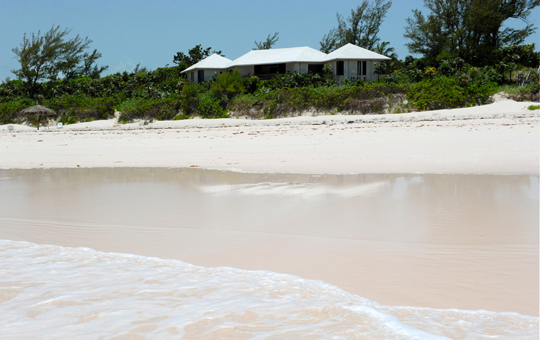 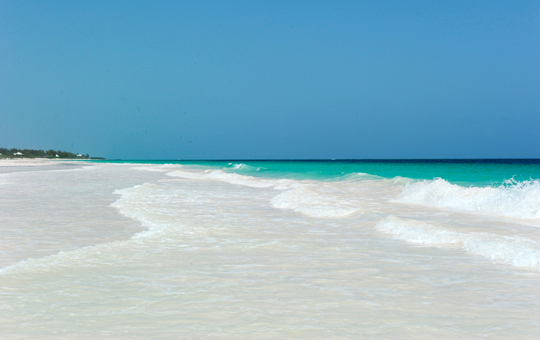 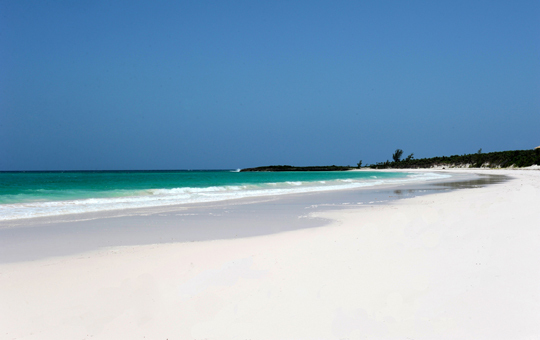 You will find the house sitting right on the sand so you can step straight out for your early morning swim. 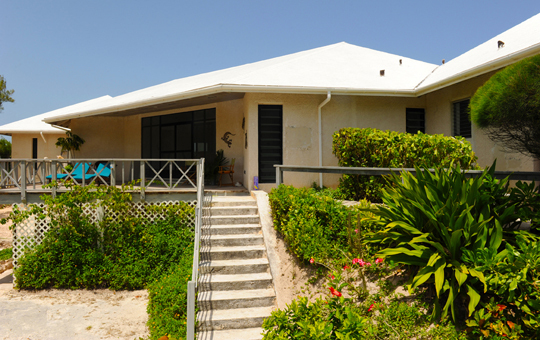 The setting is very secluded but the house has been updated with full wireless broadband and satellite TV to keep you connected to the rush of the outside world if you wish. 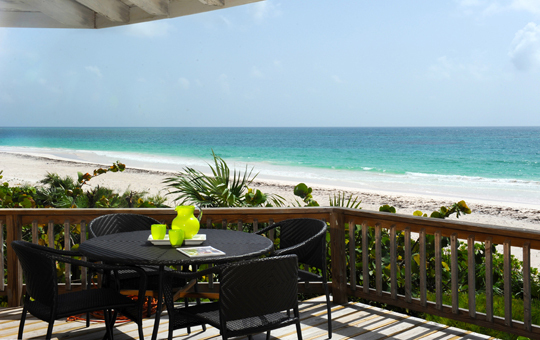 Garden side: wooden sun decks and BBQ area overlook palm trees and flowering shrubs where humming birds feed. 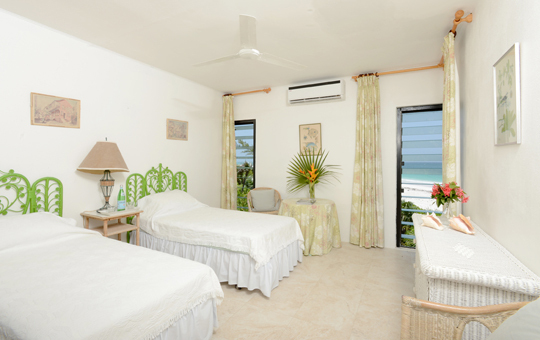 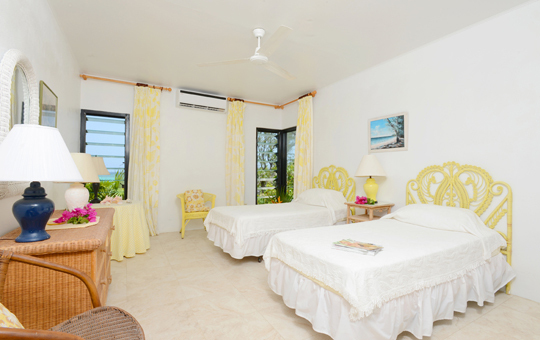 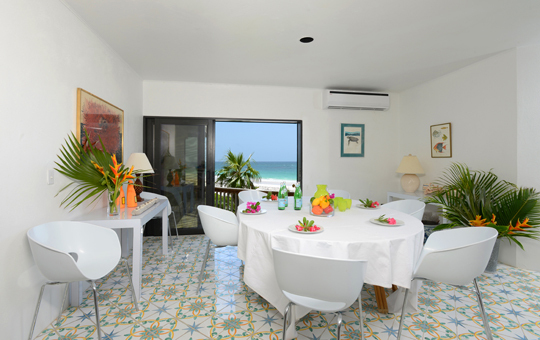 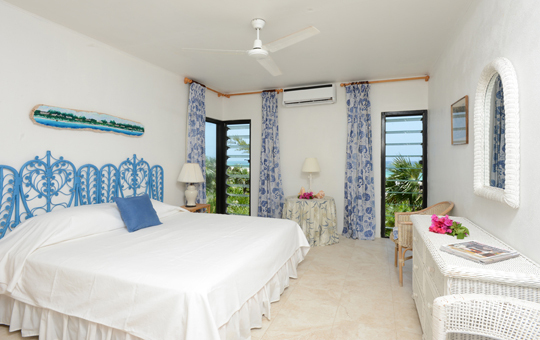 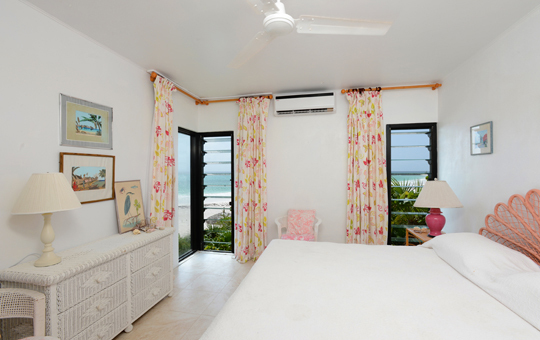 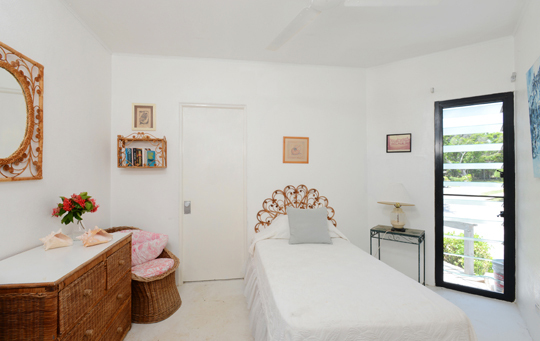 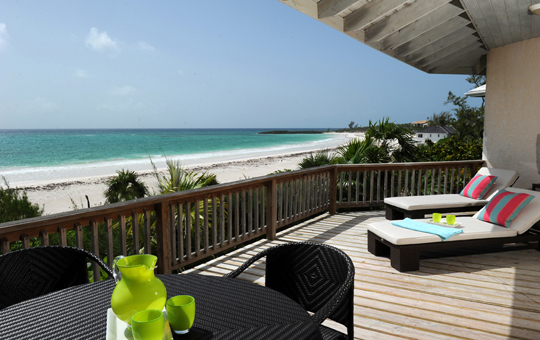 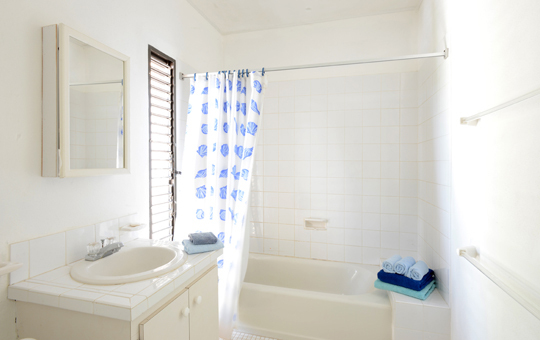 Two twin bedrooms, each with ensuite bath/shower and seaview, one with balcony.